HIFF and Guild Hall are pleased to continue the hit screening series NOW SHOWING. On select Saturday nights, the series, curated by HIFF, features acclaimed first-run art house, independent, and world cinema in Guild Hall’s John Drew Theater. 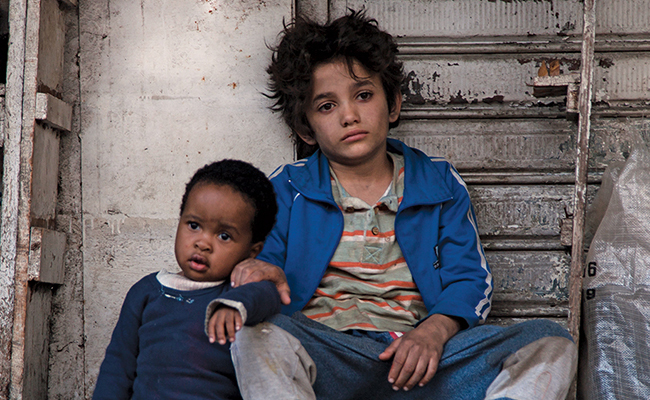 Winner of the Grand Jury Prize at the Cannes Film Festival, CAPERNAUM (“CHAOS”) is a new film by Nadine Labaki about the journey of a clever, gutsy 12-year-old boy, Zain, who survives the dangers of the city streets by his wits. He flees his parents and to assert his rights, takes them to court suing them for the “crime” of giving him life. CAPERNAUM is currently an Oscar® nominee for Best Foreign Language Film.